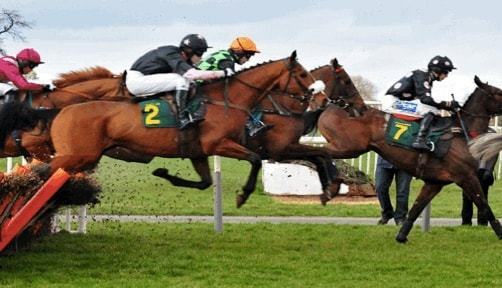 The Grand National takes place this weekend and being one of the biggest betting events of the year in the UK, plenty of punters are beginning to pick out their horses and place their bets. Those who have nowhere to place a bet will need to find a new bookmaker. There is plenty of choice out there for punters, but here are our best five new betting sites for the Grand National. Karamba are making a name for themselves in the world of online betting, and with a simple and easy to understand welcome offer available for new customers who sign up for the Grand National, they are a great choice. Fansbet are another solid choice for those looking to open a new account before the Grand National. They have a cashback offer for new customers, where you can get 5% of your losing stakes back, up to a maximum of £20. While 32Red may be better known as a casino, they also offer sports fans a great place to bet on the upcoming sporting events, including daily horse racing. Their welcome offer is applicable to in-play bets, giving you a 100% profit boost on your first bet if that is a winner, so you could double your winnings from them right from the off. If you choose to sign up with MansionBet ahead of the Grand National then you will be able to take advantage of their matched deposit welcome bonus. This is a 50% matched deposit bonus, and to a maximum of £50, giving you the chance to bag up to £50 in bonus funds. Bethard offer a welcome bonus based on your total stakes with them, and you could earn up to £50 in bonus funds if you take advantage of the full offer. After depositing £20 or more, you will receive a £5 free bet every time you wager £100, and this is available for you ten times, meaning a total of £50 is on offer. MoPlay have a great and easy to understand welcome offer for their new customers right now. Simply sign up to a new account with them and place a bet of £10 or more, which will then give you two £15 free bets to spend on the site, meaning a total of £30 in free bets.